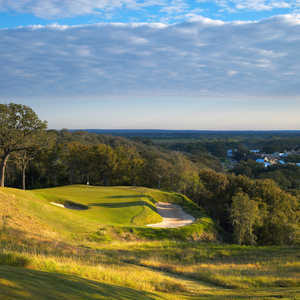 Located in the Lost Pines area of Bastrop 30 minutes east of Austin, ColoVista Golf Club is a dramatic, immaculate course that’s consistently rated one of the best in Texas. 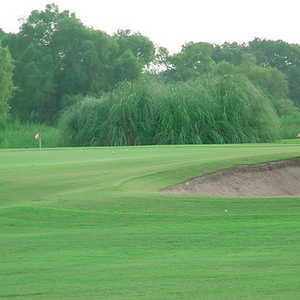 Some actually question whether it is in Texas, given the unusual terrain that the course flows through. The highlight of the course is the now-famous 191-yard No. 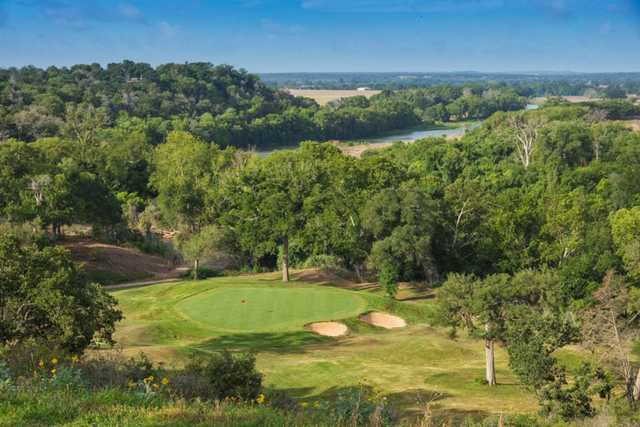 15, which is perched on a bluff overlooking the Colorado River and has been called the prettiest par 3 in Texas. 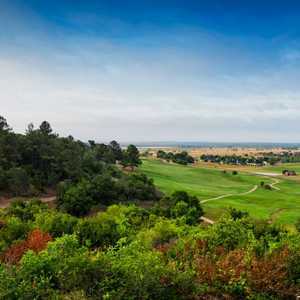 From a cliffside tee, the hole drops over 120 feet down to a green surrounded by bunkers and swales. Because of the wind, the best play is a hard punch shot that at least has the chance to lessen the impact of the breeze. The front nine is more of a links-style track that definitely contrasts with what you’ll see on the back. The opener is a tough, 468-yard par 4 that plays downhill. 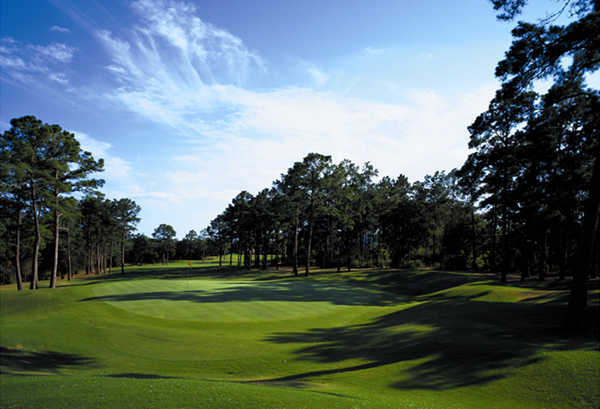 The back nine, considered the better of the two, makes the most of the rugged terrain and extreme elevation changes. 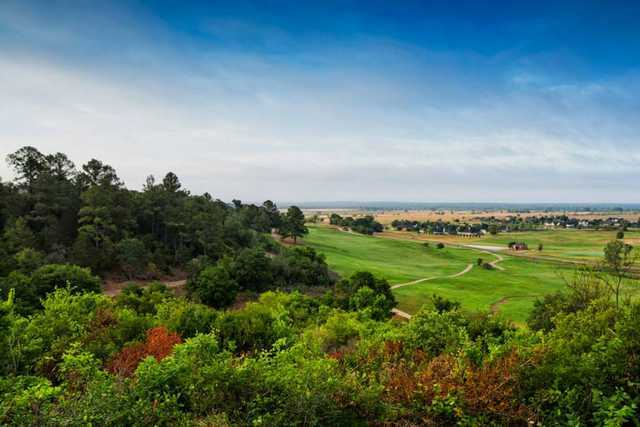 The view from the bluff is spectacular; giant pine trees line the fairways, and the 90-degree doglegs all add to the character of the nine. After being closed for around two years, the course has had a comprehensive renovation that includes re-definition of tee areas and fairways; bunker restoration; re-grassing for improved playing surfaces; and new tee markers, signage and pin flags. Getting there : From Austin, take Hwy. 71 east to McAllister Rd.. Turn right and follow the signs to the course, which is located 4 miles east of the river in Bastrop. Really awesome course. My hat is off to the folks who have put this course back into shape. Still needs a little work but overall a great experience. WIll definitely play again soon. This course is back open! It has been closed for 5 years but has been opened for 10 months now. 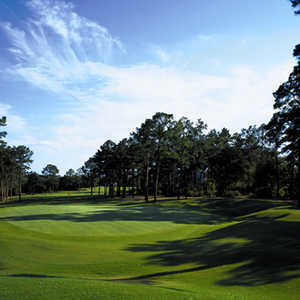 This is a great course with wide open, fairways on the front 9, where wind really plays a factor in its difficulty. Expect to lose a ball or two. The back 9 is gorgeous! The 15th hole, elevated over small canyon to green, is so much fun!! Amazing views of pine woods along the Colorado river makes the golf even better. The greens are fast and the tee boxes are still a little rough but it is coming along and was a real treat to play. Very happy to see this course back open. Hope they are able to get the clubhouse back open again soon. Course open and in very good shape. Time to play! Unfortunately, this fun course is now closed - a victim of the economy.